Costa Rica is, without a doubt, heaven on earth for hiking enthusiasts and nature lovers. Regardless of your experience or physical ability level, Costa Rica will have an adventure-packed outing that’s right up your alley. With hiking trails, ziplining excursions, horseback rides, grappling rocks, and kayak tours in almost each of the 7 provinces, even those planning a relaxing beach vacation will find their trip to be packed with action and adventure. 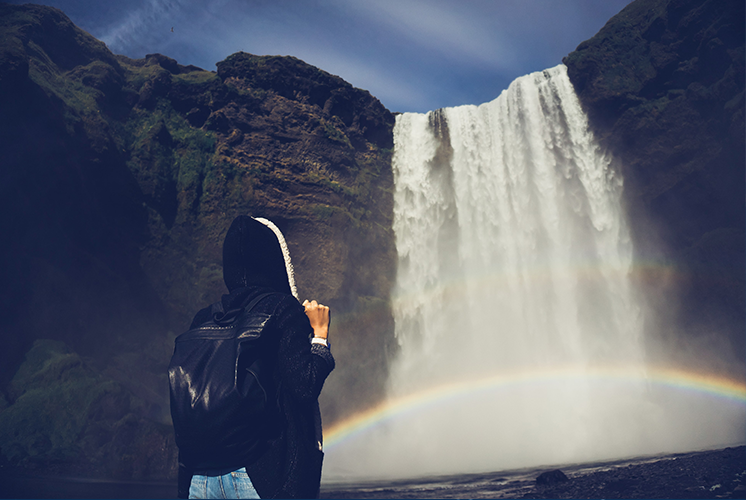 The type of adventure you choose is up to you, but chances are, one of your many excursions will lead you to a waterfall. Incredible, breath-taking waterfalls in Costa Rica are such an easy find that people have now begun planning their vacations around these stunning natural features. Visitors to this small country are filling their trip itineraries with hikes, fishing excursions, or horseback rides that lead them to a cool, majestic waterfall. If the photo opportunity wasn’t enough, the climate in Costa Rica is perfect for a dip in the fall. The mountainous topography and gathered rivers from the rainforests make Costa Rica the perfect environment for fostering waterfalls. And though there are many of all sizes, there are 5 waterfalls in Costa Rica which absolutely can’t be missed. The Llanos de Cortés waterfall is in the Guanacaste province, between Liberia and Bagaces. Not only is its location in Guanacaste convenient, as most visitors to Costa Rica find themselves in this Pacific beach department at some point during their trip, but it’s actually located right off the Interamericana Highway. This means you get the stunning views and natural ambiance without much of a hike. With just a short trail from your car to the waterfall, this is the perfect location for a family picnic. The convenience is a huge bonus, but it’s absolutely not what draws in the crowds. The Llanos de Cortés waterfall is purely majestic. This is a wide, multi-tiered waterfall right in the dry forests of Guanacaste, with a huge and calm pool at the bottom. This pool has sandy beaches, great weather, and is perfect for even a timid swimmer. This waterfall will run year-round, usually with a delicate, misty stream that makes it safe for bathers. While you will see water at any point of the year, it’s best to go in the rainy season or beginning of the dry season. Admissions: $0. They request a donation to the local primary school. In the Alajuela Province under the Arenal Volcano lives the most iconic waterfall of Costa Rica: La Fortuna. This waterfall is one heavy stream that launches off the top rocks and falls for 230 feet of air time before hitting the pond below. As if the dramatic entrance wasn’t enough, it’s surrounded by the thick vegetation of the rainforest. An afternoon in this waterfall feels like total, natural isolation, but within a short walk you have access to bathrooms, a visitor center, and multiple look-out points. It takes only around 15 minutes to get there from your car, but it’s a steep hike. Fortunately, the park has maintained a safe staircase for easy use. A dip in the large pond below is chilly and exciting, as the crashing waterfalls make waves year-round, but a calmer river is right next to it for safe wading. This protected park is open from 8am to 5pm and attracts nearly a thousand people per day, both visitors and locals. If you want to beat the crowds, it’s better to come early in the day or late in the afternoon. Admissions: $10. All tickets benefit the town of La Fortuna. Difficulty of hike: Moderate, a steep trail descending for 10 to 20 minutes. Just 20 minutes from the Southern Pacific city of Dominical lies the Nauyaca waterfall. While not the tallest of the falls, Nauyaca is one of the most interesting. It’s divided into two wide tiers, both collecting into a very deep pool at the bottom. When you visit, you’ll see locals and extreme adventurers diving off the second tier into the pool below. There’s plenty of depth for a dive, but you won’t have access to medical attention at this remote waterfall so choose your activities wisely! Altogether, this waterfall measures 215 feet. Nauyaca is accessible only by a one hour hike. The trail to the falls is wide and well maintained, making it an easy hike for children and adults alike. For those who want to get there sooner, a tourism ranch at the beginning of the trail rents horses. Admissions: $8 for hikers, $70 for horseback riders with horse rental and guide. Difficulty of hike: Easy. Hiking, horseback, and 4×4 options. In the Northern zone of the country within the Tenorio Volcano National Park, the waterfall Rio Celeste looks like something out of a fairytale. With an astonishingly blue pool at the bottom, this waterfall glides over polished volcanic rocks, giving a misty effect to the fall itself. Because of the volcanic minerals in the pool, swimming is prohibited, but this fall is still worth the hike. The colors will entrance you and the 1 mile hike through volcanic lands and rainforests will be an adventure all in itself. This is the perfect hike for an active family. You’ll have a chance to see the rainforest, volcanic rocks, and all the animals and plants that come with them. You’ll be accompanied by butterflies throughout your hike, making the whole experience that much more magical. During the heavy part of the rainy season, this pool can lose some of its color, so for the best photo opportunities, visit during dry season. Admissions: $0, you can also pay a guide. The Bajos del Toro is a sight to behold. This is Costa Rica’s largest waterfall with a drop of 300 feet. Located in the Bajos del Toro cloud forest, about 1.5 hours from San Jose, this incredible waterfall drops straight into a dormant volcano crater. There are visitors’ centers, look out points, and cafes from the top so the whole family can enjoy the view, but those who want to venture down into the crater will need to take a 1 hour hike including nearly 400 steps. Depending on the time of year and rainfall, this can be a difficult hike. Because this waterfall is off the beaten path and more difficult to access, it’s almost never flooded with visitors. This keeps the park more natural, and during your hike you’ll see exotic insects, armadillos, hummingbirds, and incredibly colorful butterflies.